I have been a home body all day! For some reason, I have been tired and napping all week. What happens when you spend too much time at home is, sometimes, you get creative. I cooked and got crafty! I have been neglecting my creative side for far too long. 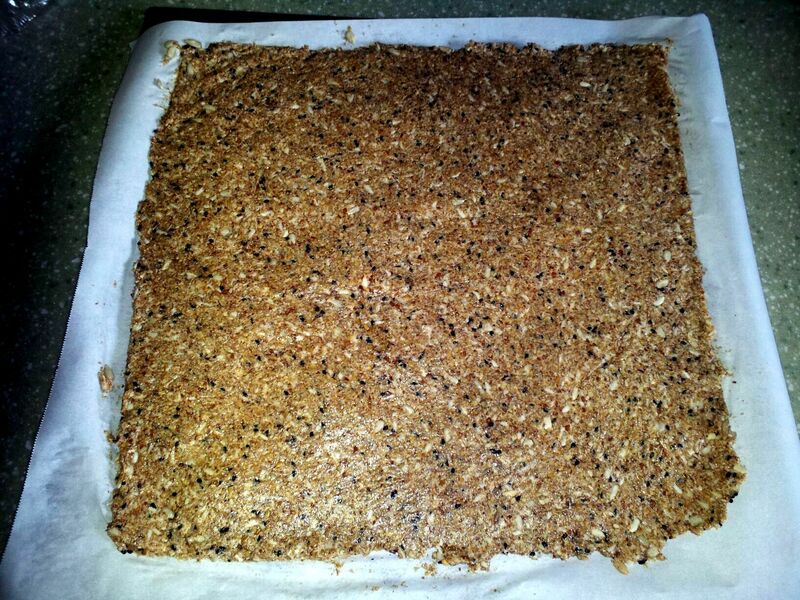 Yesterday, I made my Cheesy Kale Crisps. 3. 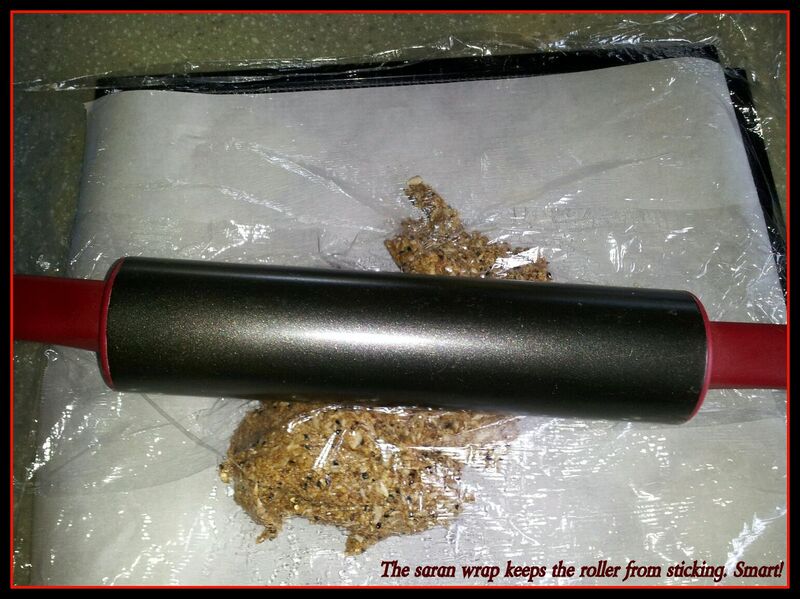 Plop on parchment paper, cover with saran wrap and roll out. 4. Ready for the dehydrator! While that was dehydrating, I got to work on a project I had been wanting to do for a while. I have a nice journal to use throughout my counseling, and I want to make sure it goes with me everywhere, so I thought it would be fun to have a special bag for it, kind of like an iPad carrier, but more personal. 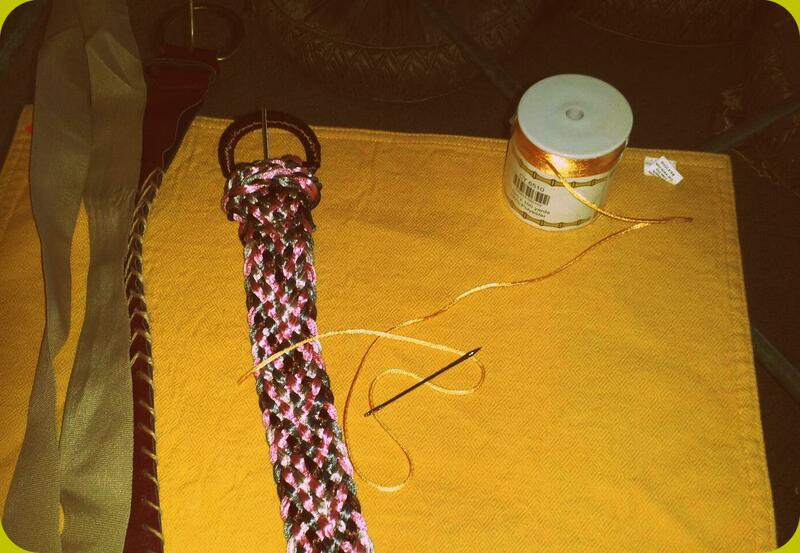 I went to the Salvation Army, found some place mats and some belts, and decided to use those. 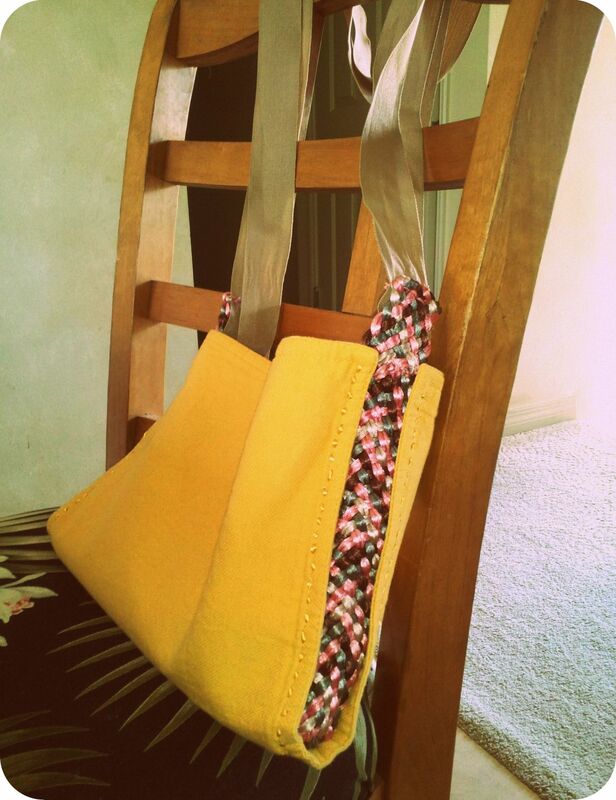 Add in some nice “thread” from a quilting shop, leftover heavy duty ribbon, and you have the basics for a purse. I want to decorate it somehow, but not sure what to add yet. I have a huge bin of craft goodies to dig through. 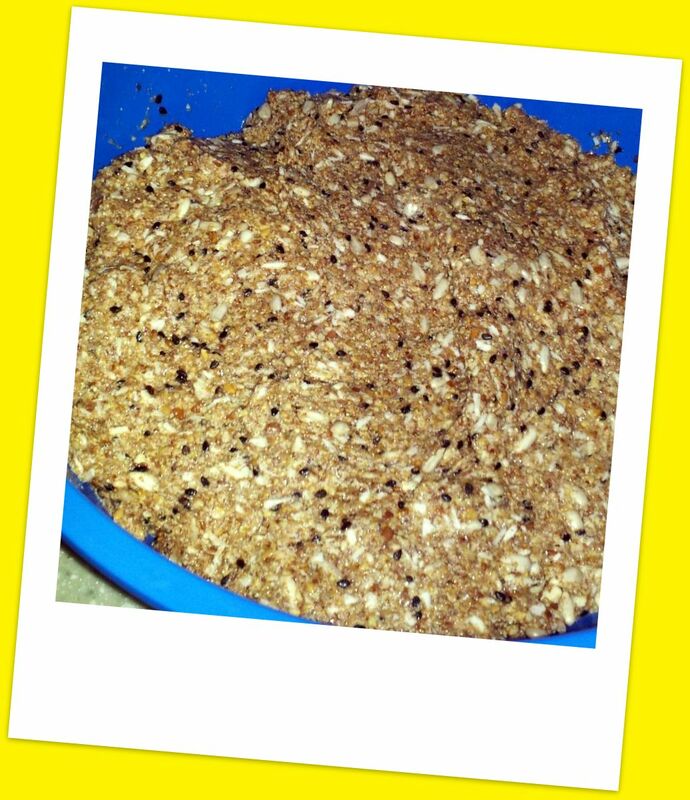 This entry was posted in Arts, Crafts, Health, Raw Food and tagged cooking, crafts, dehydrating food, dehydrator, diy, handbags, iPad, kale crisps, purse, raw food, recipes, salvation army, second hand by AmyRxBaker. Bookmark the permalink.